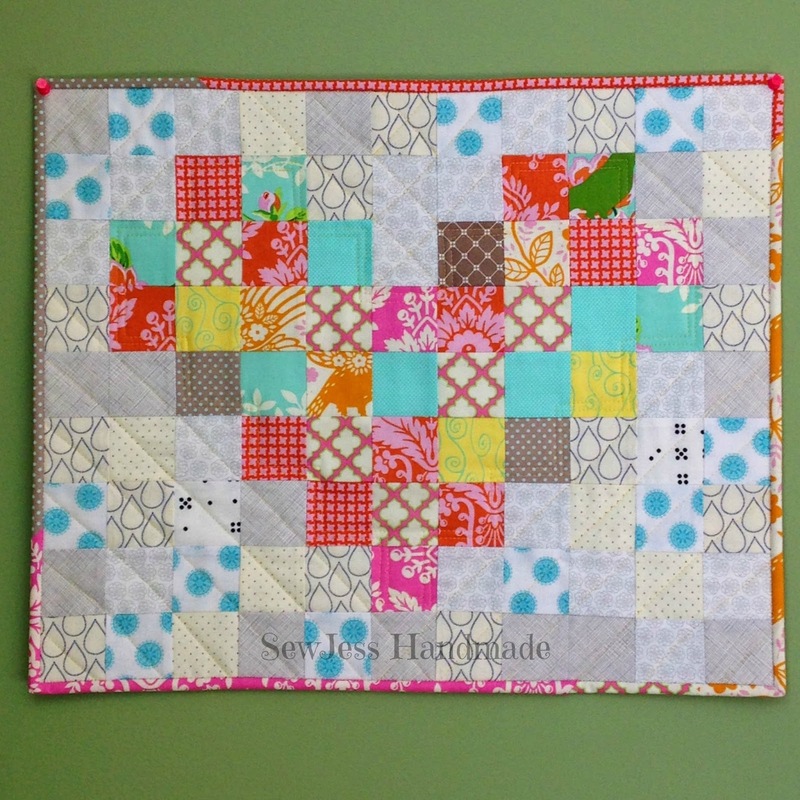 I love decorating with mini quilts. Perfect excuse for me to create something for my home and bonus, I've been using up my stash and scraps for most of them. So after I made that cute baby girl quilt, I had cut up a bunch of 2.5 inch squares from the leftover fabric and thought it would make a cute pixel heart quilt for Valentine's Day. I was inspired by the pixel heart t-shirt from Patchwork Threads. I decided on 2.5 inch squares, since that's what I had cut my scraps down to, then added some low volume squares to surround the heart. I love how it turned out. This was my first time actually doing a low volume background and I must say I am now addicted. I NEED more low volume fabric! To enhance the heart shape, I quilted in diagonal straight lines. I also quilted a couple of lines in the heart itself. I quilted this mini with my favorite thread, Aurifil. And instead of my usual white that I have been doing for my mini's, I used a beautiful yellow (#1135). With the exception of two new low volume prints, all fabric came from my stash. This project was a wonderful way to use up left over fabric and some smaller batting pieces as well. Looking forward to my next #SewMyStash2015 project.